Kelly Vittengl | Rug Slinger — To Be Magnetic™ | Manifest the life you deserve for less than a dollar a day. 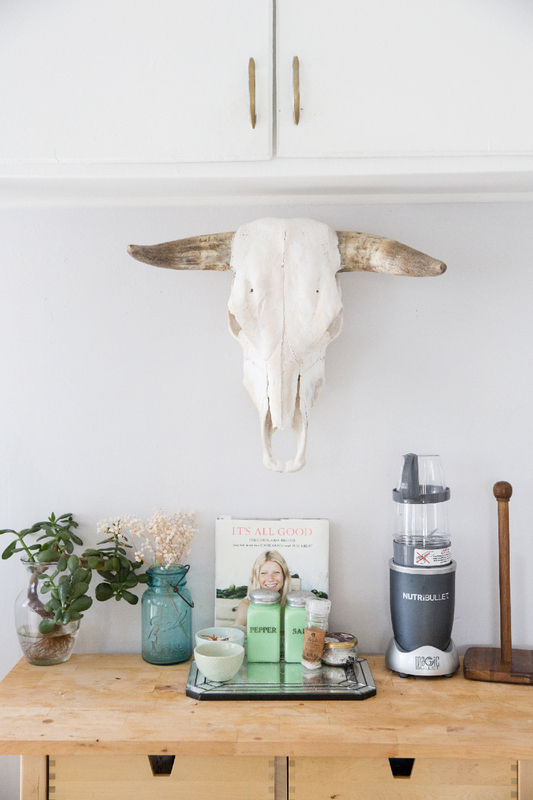 Kelly Vittengl, of Frances Loom - a vintage rug and mud cloth emporium, is the epitome of Southern California chic. As a major vintage rug enthusiast, I instantly fell in love with her eye for design when stumbling upon her Instagram some time back. One rug photo after another - with beautiful indigo vintage mud cloths in for good measure - I had to share her with all of you. 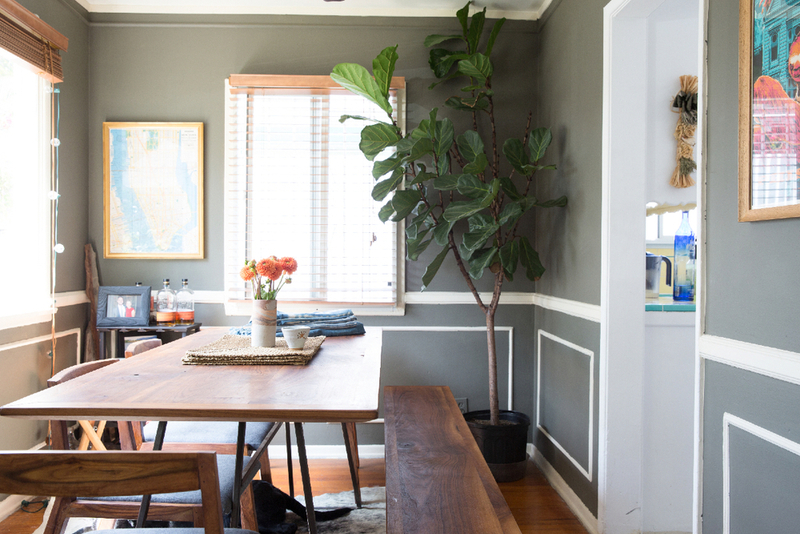 Meet Kelly, her sweet pup, and the cute Venice bungalow she shares with her guy. Here is how Kelly found her way onto a holistic path and journey. K | You know, it’s interesting, when I look at my lifestyle choices over the course of my life, I really only started taking a holistic and spiritual approach when I moved to California three years ago. I grew up in Upstate N.Y. where I certainly had access to some wonderful sources of natural food, but I was not raised in a community of open-minded people. I always knew there was more out there for me, I just didn’t know where to find it. I started reading books on Buddhism when I was 15, and that certainly freaked my parents out a bit. As I grew older, I slowly started learning more and more about health. 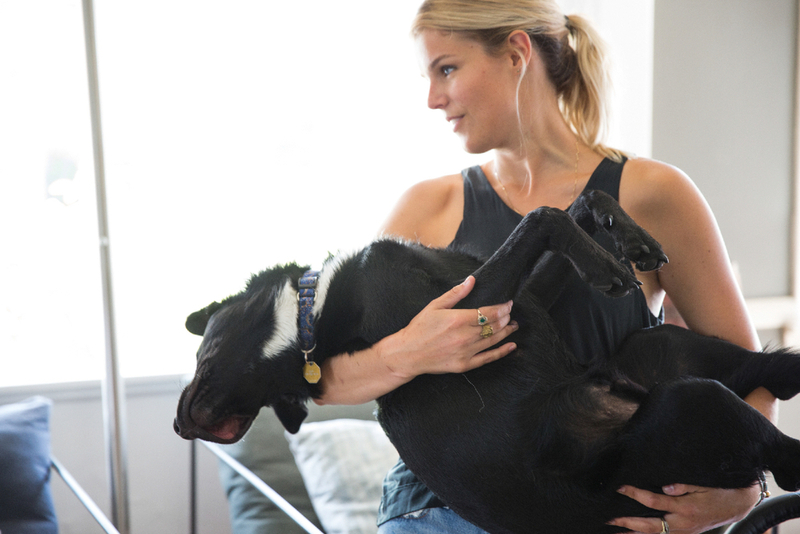 I moved to NYC and began doing yoga, but there was still a sort of mental block for me. It wasn’t until I moved to LA that something in my spirit shifted. Everything from yoga, to juice stores, to organic markets, to spiritual centers became so accessible. I started meeting like-minded people and it was like my whole universe came together. My friends back home tend to laugh when I tell them about my day; “well, I woke up, made a tonic latte and some avocado toast, answered some emails, went to yoga, then walked to get a green juice and kale salad, did a little more work, and then biked to the beach for sunset” – it all sounds so cliché, but it truly is a way of life out here and I am so deeply grateful for the change in mindset that this place has given me. I’ll be the first to admit that I do tend to drink the kool-aid, but it has allowed me to expand my consciousness, and what’s most important is not taking it all too seriously. One of the biggest keys, and what was once my biggest challenge, is finding the balance between the body/mind lifestyle and still allowing yourself to have a social life and slip up every once in a while. I still drink alcohol, and go out too late some times. I still eat fast food while road tripping to Mammoth. It’s just a matter of accepting it, keeping the bad habits under control, and not forcing it! I am a completely different person today than I was three years ago, and I have spirituality and my change in lifestyle to thank for that. Or, perhaps I should just thank California! To keep up with Kelly's incredible eye for vintage rugs, follow her on Instagram and Frances Loom. 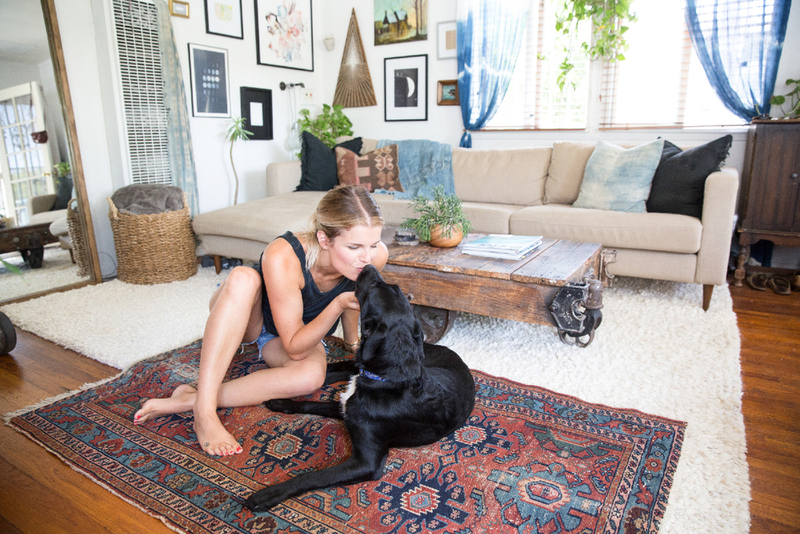 Kelly Vittengl, of Frances Loom - a vintage rug and mud cloth emporium, is the epitome of Southern California chic.